Browse temporary fencing ranges below, available to buy online! 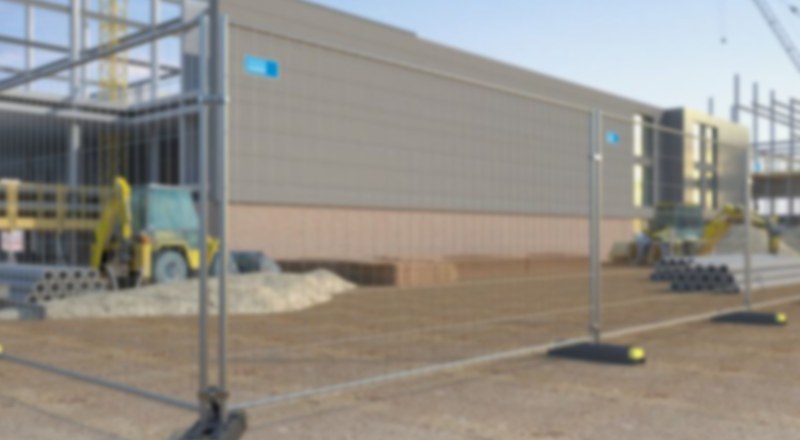 Choose from a great range of temporary fencing solutions, which includes hoarding and slot block barriers, to provide temporary security whilst work is taking place. 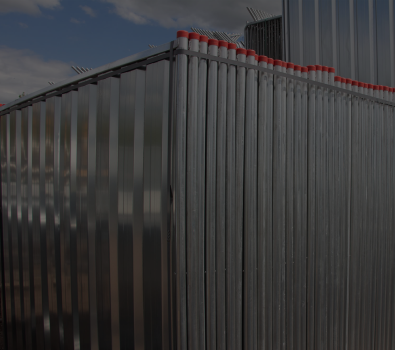 Designed for multiple use, our temporary security fencing range offers robust and reliable solutions for sites requiring safety, security and privacy on a short-term basis. With a variety of fencing panels, gates and accessories available, you can tailor your temporary security fencing system so that it meets your exact requirements. Temporary fencing is an ideal solution for outdoor sites that require security on a short-term or medium-term basis. Used as a temporary security system, it is a popular choice for many businesses in various locations across the UK, including construction sites and outdoor events such as music festivals. Not only that, but their dependability means that many homes across the country invest in our temporary security fencing, as a means to protect their property and equipment. Browse our range of temporary fencing solutions below, and see how we can help fix your safety and security issues. Temporary security fencing offers great versatility, and can be used again and again. Choose frommany different panels, all of which are suited for a range of locations and situations. 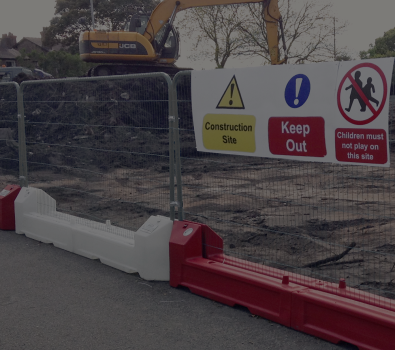 Our gates are ideal temporary fencing solutions, as they allow for entry and exit points so that pedestrians and vehicles can gain access to the site, all whilst maintaining strict site security. Temporary fencing accessories are important for ensuring a safe, stable and secure fencing structure. Accessories include feet/bases, couplers, stability and security devices, in addition to tarpaulin. 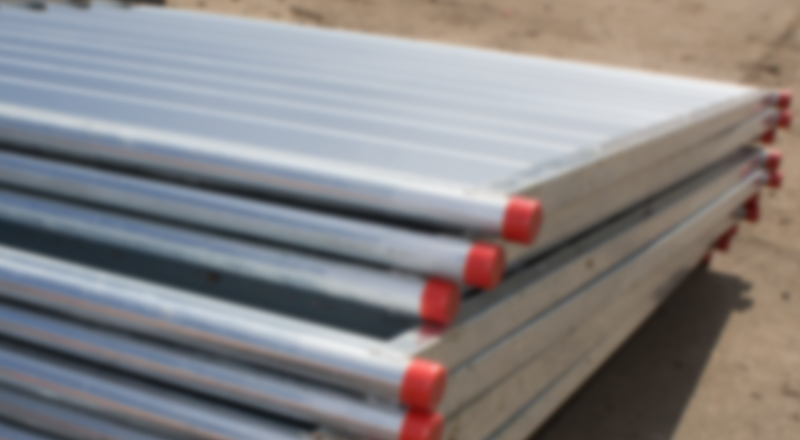 Steel hoarding consists of solid steel panels which provide a higher level of privacy than temporary fencing, and is ideal to keep your site safe, protected and private. Steel hoarding is available in standard, steelwall and ultimate steelwall hoarding. Hoarding is often used for building and construction sites as it ensures that tools, equipment and building materials are kept hidden from view, as well as helping to prevent intrusion, damage and theft. Hoarding panels are available in 2.0m high or 2.4m high and length of 2.0m. Hoarding gates are perfect for providing a secure and easy way to access your site without compromising on border security, available as pedestrian and vehicle style gates to suit all your access requirements. Hoarding fencing accessories are similar to temporary security fencing. Whilst plastic feet and steel couplers are both essential requirements, there are other accessories available as optional extras. 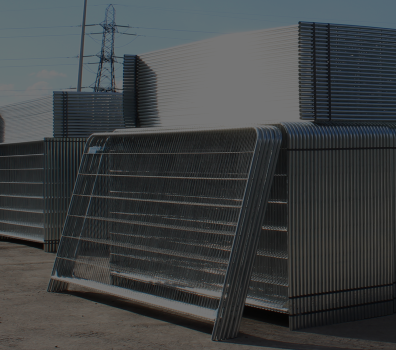 For safe and easy storage of steel hoarding panels, we are able to provide a strong and stackable stillage system. 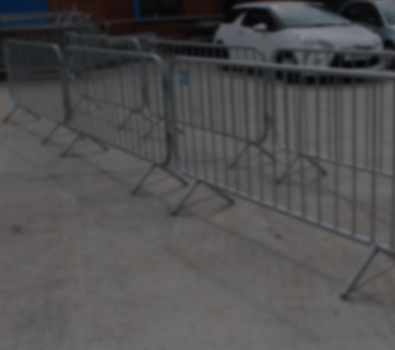 Crowd control barriers are made of high quality galvanised steel, and are designed to provide a temporary safety barrier, ideal for supplying pedestrian traffic management in busy or heavily crowded areas. Crowd control barriers are designed to help manage pedestrian traffic at outdoor events such as festivals and concerts, by marking out restricted areas and helping to direct crowds of people. Police crowd control barriers have mesh infills, which make them more robust and durable, enabling them to withstand more damage than standard crowd barriers. Walk-through crowd control barriers are designed to be added to crowd control barriers to provide a clear entry or exit point for pedestrian traffic, plus they limit the number of people passing through the barrier at one time. 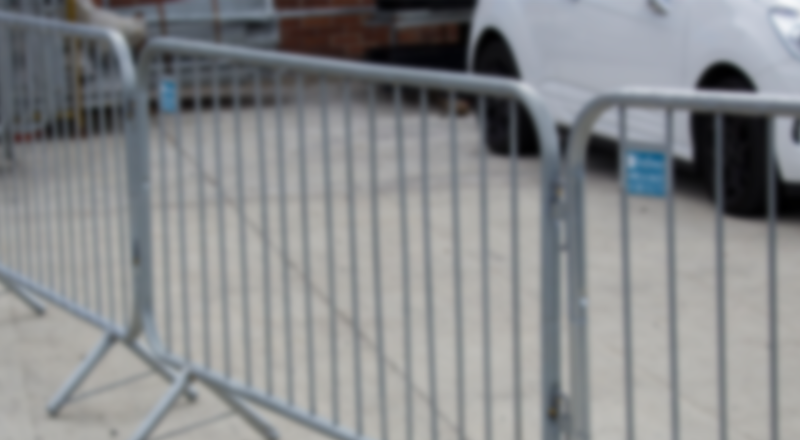 Our range of cycle barriers present another form of temporary fencing solutions: featuring a compact design, they’re commonly used to keep pedestrians and participants separate and safe during events; whilst also creating an ideal large space for advertising.